Clarence Ray Nagin Jr., also known as C. Ray Nagin (born June 11, 1956), is an American former politician, businessman and convicted felon who served as the 60th mayor of New Orleans, Louisiana, from 2002 to 2010. A Democrat, Nagin became internationally known in 2005 in the aftermath of Hurricane Katrina. Nagin was first elected as mayor in March 2002. He was re-elected in 2006 when the election was held with at least two-thirds of New Orleans citizens still displaced after Katrina struck. Term-limited by law, he left office on May 3, 2010. After leaving office, Nagin founded CRN Initiatives LLC, a firm that focuses on emergency preparedness, green energy product development, publishing, and public speaking. He wrote and self-published Katrina Secrets: Storms after the Storms. In 2014, Nagin was convicted on twenty of twenty-one charges of wire fraud, bribery, and money laundering related to bribes from city contractors before and after Katrina and was sentenced to ten years in federal prison. Nagin was born on June 11, 1956, in New Orleans' Charity Hospital, to a family of modest means. His childhood was typical of that of urban youth, and his father held two jobs: a janitor at New Orleans City Hall by night and a fabric cutter at a clothing factory by day. After the factory shut down his father became a fleet mechanic at a local dairy, to earn sufficient pay to support his family. His mother was employed as manager of a Kmart in-store restaurant. The family lived on Allen Street in the 7th Ward, followed by a stay near St. Peter Claver Catholic Church in the Tremé, and then moved to the Cutoff section of Algiers. Nagin attended St. Augustine High School and O. Perry Walker High School, where he played basketball and baseball. He enrolled at historically black Tuskegee University in Tuskegee, Alabama, on a baseball scholarship, played on championship teams, and graduated with a Bachelor of Science degree in Accounting in 1978. He became a Certified Public Accountant. After graduating from college, he went to work in the purchasing department at General Motors in Detroit, Michigan. He moved to Los Angeles, California, then to Dallas, Texas in 1981 to take Internal Audit Manager and Division Controller jobs with Associates Corporation. In 1982, Nagin married Seletha Smith, a New Orleans native. Together, they have three children. In 1985, Nagin returned to New Orleans to become the controller of Cox New Orleans, the city's cable television franchise, run by the Cox media conglomerate. The franchise had a history of customer complaints, low profits, and stagnant growth, and was one of the poorest-performing components within Cox. Nagin was quickly promoted to general manager. In 1989, he was appointed to oversee all of Cox properties in south Louisiana as vice-president and general manager of Cox Louisiana, earning $400,000 annually, according to CNBC's "American Greed"
In 1993, Nagin enrolled in the executive MBA program at Tulane University. Nagin also lobbied at the local, State, and Federal government levels, as many of the businesses he managed were regulated and required formal franchise renewals. His public profile was high because he hosted a twice-weekly television call-in show for customers. In 1995, Nagin received the Young Leadership Council Diversity and Role Model Award and later sat on the boards of the United Way and Covenant House. He also was one of the founders and president of 100 Black Men of metro New Orleans, an affiliate of the national organization of black businessmen. Nagin was a partner in a group that brought the New Orleans Brass to the city. Nagin became the team's president and investors' spokesman as they secured the hockey franchise. The initial popularity of the team allowed the group to secure the 18,000-seat New Orleans Arena as its home venue. That year, the local alternative newspaper Gambit Weekly named Nagin as its New Orleanian of the Year. Several news sources, including BBC News, have stated that Nagin was a registered Republican for most of his adult life, and a George W. Bush supporter, but switched to the Democratic Party shortly before seeking office. In 2004, he endorsed John Kerry for president. In a January 13, 2006 interview on the Tavis Smiley Show, Nagin himself denied these rumors, stating that he "never was a Republican" and that he has been a "life-long Democrat", and several news organizations that reported he was a Republican issued retractions. He periodically gave contributions to candidates of both parties, including Representative Billy Tauzin in 1999 and 2000, as well as Democrat Senators John Breaux and J. Bennett Johnston, Jr. earlier in the decade. Nagin endorsed conservative Republican Bobby Jindal over conservative Democrat Lieutenant Governor Kathleen Blanco in the 2003 runoff for governor. Nagin entered the race for mayor on the final day of qualifying. Shortly before the primary mayoral election, on January 17, 2002, the New Orleans Times Picayune and Gambit Weekly endorsed Nagin. In the first round of the mayoral election in February 2002, Nagin won first place with 29 percent of the vote. Some of his opponents were the Police Chief Richard Pennington, State Senator Paulette Irons, and City Councilman Troy Carter. In the runoff on Saturday, March 2, 2002, Nagin defeated Richard Pennington with 59 percent of the votes to become the 60th mayor of New Orleans. The 2004 Comprehensive Annual Financial Report of the City of New Orleans, as certified by CPA firm KPMG, highlighted many significant accomplishments of the Nagin administration. New Orleans gained 4,500 jobs that year. U.S. Census Bureau figures showed about 38,000 New Orleanians had risen out of poverty as the national average increased. According to The American City Business Journal, per capita income in New Orleans was rising at the fastest rate in the nation. Southern Business and Development named New Orleans number eight on the list of "comeback kids" in the south. New Orleans had back-to-back record tourist years, 10.1 million in 2004. A Yahoo/National Geographic Traveler poll named the city its number one family destination. Since 2002, the area had seen over $400 million of film productions, including movies like the Oscar award-winning Ray, starring Jamie Foxx, and All the King's Men, featuring Sean Penn. According to MovieMaker Magazine, New Orleans was the fourth-best place to film a movie and had earned the title "Hollywood South". In November 2004, the Nagin administration passed the city's largest bond issue, $260 million. New Orleans also jumped from 69th to 38th on Intel's list of "Most Wired Cities". The city's website went from being unranked to the 4th best in the nation. As Hurricane Ivan threatened the Gulf of Mexico in September 2004, Nagin urged New Orleanians to be ready for the storm. He advised evacuees to have some "Benjamins" ($100 bills) handy and urged those planning to stay not only to stock up on food and water but also to make sure they had "an axe in the attic". This was a reference to the many people trapped in their attics by rising floodwaters when Hurricane Betsy hit the city in 1965. Nagin issued a voluntary evacuation call at 6 p.m. on September 13, and the interstates quickly filled as some 600,000 metro New Orleanians left. Traffic was so heavy that some trips took 12 hours or more. The hurricane missed the city. In August 2005, Hurricane Katrina entered the Gulf of Mexico. Early on Friday, August 26, Mayor Nagin advised New Orleanians to keep a close eye on the storm and prepare for evacuation. He then made several public statements encouraging people to leave and advising that if they did not evacuate, "We will take care of you". By 10 a.m. Saturday, a mandatory evacuation was called for low-lying areas in the surrounding parishes—St. Charles, St. Tammany, Plaquemines, and Jefferson—and a voluntary evacuation for St. Bernard Parish. Nagin had, however, ignored federal and state offers of help and a recommendation to evacuate the city. In addition to the parishes' announcements, President George W. Bush declared a federal state of emergency for Louisiana. In accordance with the regional evacuation plan, New Orleans, along with the surrounding areas of Jefferson and St. Charles parishes, were given formal voluntary evacuation orders around 50 hours from landfall. This phased approach along with "contraflow", wherein all incoming interstate highway lanes are reversed outward, ensured that additional vehicles moving onto already congested roads would not create massive gridlock. The local newspaper reported that Nagin stopped short of ordering a mandatory evacuation because of concerns about the city's liability for closing hotels and other businesses. After receiving a late night Saturday call from Max Mayfield, head of the National Hurricane Center, Nagin was advised that Katrina was headed to New Orleans. He ordered the city attorney to prepare legal documents for a mandatory evacuation of the city, the first in New Orleans' almost 300-year history. On Sunday, August 28 at 9:30 a.m., the mandatory evacuation order was signed and communicated to the public. The Superdome was opened as a shelter of last resort and police went throughout the city with loudspeakers alerting all remaining citizens to go to key pickup points for free bus rides. By Sunday evening 80% of New Orleanians and visitors were evacuated or relocated. After the hurricane hit, the federally built and maintained levees collapsed throughout the city. 80% of the city flooded, some areas as high as 20 feet, over rooftops. Food and water became scarce. Looting was common. After hearing reports on his wind up radio, Nagin criticized the federal and state response on WWL radio and his passionate outburst went viral. At a town hall meeting in October 2005, Nagin said: "I can see in your eyes, you want to know, 'How do I take advantage of this incredible opportunity? How do I make sure New Orleans is not overrun with Mexican workers". This was in response to a question from the audience. Some Hispanic groups, including the United States Hispanic Chamber of Commerce, criticized Nagin's statement, although those attending the town hall meeting reportedly applauded—many believing jobs should first go to locals displaced by the hurricane. Nagin went on to say this was the city's biggest economic opportunity and urged New Orleanians to get more comfortable working beside someone who did not look like them, as everyone's help was needed. During a subsequent interview on Telemundo with Jose Diaz-Balart, Nagin praised the great work Hispanic workers did in New Orleans and said the city would not have recovered without them. Shortly after Katrina devastated New Orleans, there were calls for moratoriums on rebuilding certain neighborhoods. Two weeks after Katrina struck, Nagin took a weekend trip to Dallas to reunite with his family. While there, he was asked to meet with leading New Orleans businessmen to discuss the city's future. Nagin says he made it clear at the meeting that everyone had a right to return home, a claim contradicted by some businessmen in attendance. Many of the initial proposals to rebuild New Orleans focused on rebuilding areas with the highest likelihood of economic return. Many groups expressed concern that this might radically change the racial make-up of the city. The land deemed most economically viable was mostly city land above sea-level, in which the most economically-advantaged and white citizens resided; the majority of New Orleanians, especially black residents, lived in the outer edges of the city, where land was mostly below sea-level and deemed less economically viable. Nagin disavowed such proposals, and in response to residents' concerns, he used the phrase "Chocolate City" to signal that New Orleans would remain a majority black city. He first used the phrase during a Martin Luther King, Jr. Day celebration speech in New Orleans on January 16, 2006 and repeated the metaphor several times. This was seized upon and parodied by some commentators, cartoons, and merchandising. Various designs of T-shirts with satirical depictions of Nagin as Willy Wonka were sold in the city and on the Internet. Nagin also said that New Orleans "will be a majority African-American city because this was what God wants it to be." Some people found the implication of Nagin claiming to know God's will to be as troubling as the racial aspects of his speech. He then condemned Washington D.C., by saying God "sent us hurricane after hurricane after hurricane, and it's destroyed and put stress on this country", suggesting God's disapproval of the 2003 invasion of Iraq. In an interview with Tavis Smiley broadcast on Public Radio International on January 13, 2006, Nagin said he used the phrase "chocolate city" in reference to a time in the 1970s when African Americans were just starting to exercise political power in places like Washington, D.C. The term had been used in many of Nagin's previous speeches and welcoming addresses to visitors of the city. The idea reportedly originated with the song "Chocolate City" by the popular 1970s funk group Parliament. At the time of the 2006 election, at least two-thirds of its residents were still displaced. One candidate said in his Times Picayune interview he was running because the city's demographics had dramatically changed. There were three unsuccessful lawsuits filed to prevent delaying the original election date. In the April 22 election, Nagin was the front runner with 38% of the vote. Louisiana Lieutenant Governor Mitch Landrieu came in second with 29%. Nagin and Landrieu faced each other in a run-off election on May 20, 2006. Nagin defeated Landrieu 52% to 48%. Nagin's second term began on June 1, 2006. He was intensely criticized by the local media throughout this term. For example, his "100-day plan" to accelerate the rebuilding of New Orleans was bashed for what critics said was a tardy release, lack of details and activity in moving forward. Nagin administration spokesperson Rob Couhig backed away from a 100-day promise, stating that it was not meant as a "time period," but as a short-range initiative to improve quality-of-life issues. Delays in FEMA reimbursements and federal recovery dollars reaching the city caused many significant delays. He was also a member of the Mayors Against Illegal Guns Coalition, an organization formed in 2006 and co-chaired by New York City mayor Michael Bloomberg and Boston mayor Thomas Menino. In 2006, Nagin was also criticized for devoting time to extensive lobbying in Washington, DC and a national speaking tour. Nagin's administration said this was necessary in order to correct inaccurate perceptions of New Orleans and secure recovery support. In addition during 2007, a drastic increase in the city's violent crime rate led to more criticism of Nagin. Nagin called for and got help from the Louisiana National Guard and U.S. Justice Department. However, Nagin continued to be heavily criticized by the local newspaper. He reignited complaints when he said news of two killings should keep focus on the city's needs for more help and, "while sad, keeps the New Orleans brand out there." Nagin hired recovery expert Dr. Ed Blakely in 2007 to head up a dedicated Office of Recovery Management. The Rockefeller, Ford and Bill & Melinda Gates foundations provided grants for critical staff enhancements. During the end of 2007 and into 2008 Nagin guided the city through an extensive planning process that documented a $14 billion need. However, the state only allocated 2% of the plan and it took almost three years to receive any of these federal recovery dollars. By years 4 and 5, New Orleans made significant progress toward recovery. 85% of all city managed recovery projects were either recently completed, under construction, or in final design. By the end of 2009, there were over $20 billion in public & private sector construction related projects underway. Business Week said New Orleans was one of the best cities in America to ride out the great recession. Money Magazine ranked the city as the sixth-fastest-growing real estate market. Outside Magazine said New Orleans was the 20th best town in American to live in. The U.S. Department of Labor in its April 2010 report said New Orleans had the lowest unemployment in the nation. Prior to leaving office in 2010, Nagin was appointed by Secretary of State Hillary Clinton to head the United States delegation to a state and local governments conference on assistance to post-earthquake Haiti held in Martinique. A recovery plan was completed and presented to donor nations resulting in Haiti receiving billions in pledges. On April 7, 2009, the Times-Picayune alleged a conflict of interest with regard to a trip Nagin took to Hawaii in 2004. The vacation Nagin, then-chief technology officer Greg Meffert, and their families took in 2004 was claimed to be partially paid for by Meffert, but years later it was revealed that Meffert used a contractor's credit card to pay for Nagin's plane ticket. David Hammer of the Times-Picayune reported on April 23, 2009, that Nagin had taken "plenty of other trips" at the expense of NetMethods, a company owned by city vendor Mark St. Pierre. In April 2009, Nagin was obliged "to sit for a deposition as part of a civil lawsuit over the city's controversial crime camera program." The Times-Picayune had obtained information that Mark St. Pierre, who allegedly paid for the holiday, had made substantial donations to Nagin's 2006 re-election campaign. Nagin's Chief Technology Officer, Greg Meffert, was later charged with 63 felony counts in what authorities say "was a lucrative kickback scheme." All but two of the counts were subsequently dropped, and Meffert eventually pleaded guilty to one count of conspiracy to commit wire fraud and one count of filing a false income tax return. In April 2010, as a result of a FOIA request from a New Orleans news station, Nagin was investigated for destroying his official city emails. After a forensic investigation by computer forensics firm SunBlock Systems, 5,400 emails were recovered. Many of these emails were subsequently used as evidence in his 2013 criminal trial. In June 2012, Frank Fradella, who was facing major securities fraud charges, pleaded guilty in New Orleans federal court to one count of conspiracy to bribe a public official. According to The Times-Picayune, Fradella claims to have paid $50,000 and delivered truckloads of free granite to Nagin's sons' business in exchange for favorable treatment for Fradella's companies with city contracts. ^ a b c Louisiana Secretary of State Election Results, March 2, 2002, Mayor City of New Orleans. ^ "Former New Orleans Mayor Ray Nagin indicted for corruption". Reuters. January 18, 2013. Retrieved January 18, 2013. ^ a b Bailey, David (April 1, 2013). "Trial of former New Orleans mayor delayed until October". Reuters. ^ a b Fahrenthold, David A. (February 12, 2014). "Former New Orleans mayor Ray Nagin convicted on bribery, other charges". Washington Post. ^ "Ex-New Orleans mayor Ray Nagin sentenced to 10 years". USA Today. July 9, 2014. Retrieved July 9, 2014. ^ a b "Ray Nagin, Former New Orleans Mayor, Sentenced to 10 Years in Prison". New York Times. July 9, 2014. Retrieved July 9, 2014. ^ Bumgarner, Jeffrey B. Emergency Management: A Reference Handbook. ABC-CLIO. p. 146. ISBN 978-1598841107. Retrieved 2014-02-17. ^ a b c Stevens, Andrew (May 28, 2006). "Ray Nagin: Former Mayor of New Orleans". 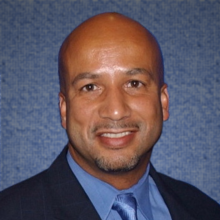 ^ a b c "Profile: Ray Nagin". BBC News. May 21, 2006. ^ "RAY NAGIN Archived April 23, 2016, at the Wayback Machine." (Archive Archived March 3, 2016, at the Wayback Machine) Tulane University. Retrieved on March 15, 2013. ^ a b "Ray Nagin For Mayor". Gambit Weekly. January 22, 2002. Retrieved 2014-07-09. Nagin is a certified public accountant who serves as vice president and general manager of Cox Communications, the local cable television company. He supervises more than 900 people and an annual budget of $200 million—more than one third of the annual city operating budget. He is president and founder of the New Orleans Brass minor league hockey team, and he was Gambit Weekly's New Orleanian of the Year for 1998. ^ A Conservative Defense of Ray Nagin Archived March 4, 2016, at the Wayback Machine. Retrieved August 26, 2006. ^ Here’s To You, Ray Nagin Archived June 26, 2006, at the Wayback Machine. Retrieved August 26, 2006. ^ Ray Nagin Is NOT America's Mayor Archived October 25, 2008, at the Wayback Machine. Retrieved August 26, 2006. ^ "City Mayors: Ray Nagin - Mayor of New Orleans". citymayors.com. ^ "Ray Nagin interviewed on the January 13, 2006 Tavis Smiley Show". Archived from the original on July 20, 2006. ^ Connolly, Ceci; Roig-Franzia, Manuel (October 25, 2005). "Article with correction on Nagin's political history". Washington Post. ^ Brinkley, Douglas (2009). The Great Deluge: Hurricane Katrina, New Orleans, and the Mississippi Gulf Coast. New York, NY: HarperCollins. p. 94. ISBN 0061744735. ^ USHCC Deplores Remarks by New Orleans Mayor Ray Nagin Regarding Mexican Workers and the Rebuilding of New Orleans Archived December 26, 2005, at the Wayback Machine – Hispanic PR Wire, October 19, 2005. ^ "Los secretos de Katrina". Telemundo. Retrieved 2012-12-22. ^ Klein, Naomi (September 9, 2005). "'Here's a better idea' for victims of Hurricane Katrina". Global Sisterhood Network. ^ Dao, James (January 22, 2006). "In New Orleans, Smaller May Mean Whiter". The New York Times. ^ Nossiter, Adam (January 21, 2007). "New Orleans of Future May Stay Half Its Old Size". The New York Times. ^ Levy, Clifford J. (December 11, 2005). "New Orleans Is Not Ready to Think Small, or Even Medium". The New York Times. ^ "Times-Picayune, January 24, 2005". Nola.com. Archived from the original on September 30, 2007. Retrieved February 23, 2011. ^ Nagin apologizes for 'chocolate' city comments Archived March 3, 2016, at the Wayback Machine – CNN, January 18, 2006. ^ "In the Magazine". The Nation. June 19, 2006. Retrieved February 23, 2011. ^ Martel, Brett Martel (January 17, 2006). "Storm's Payback From God, Nagin Says". The Washington Post. ^ Stevens, Andrew (May 28, 2006). "Ray Nagin: Former Mayor of New Orleans". CityMayors.com. ^ Nagin, C. Ray (2011). Katrina's Secrets: Storms after the Storm. ^ "Briefly: Response to Katrina big issue in mayor race". The New York Times. March 1, 2006. ^ Krupa, Michelle; Donze, Frank (July 27, 2006). "Mayor finally breaks post-election silence; an upbeat Nagin cites economy, cleanup, safety". The Times-Picayune. Archived from the original on March 31, 2007. Retrieved August 4, 2006. ^ Krupa, Michelle (September 6, 2006). "100 days hard to figure on the mayor's calendar". The Times-Picayune. Archived from the original on May 28, 2008. Retrieved September 8, 2018. ^ "Mayors Against Illegal Guns: Coalition Members". Archived from the original on March 6, 2007. Retrieved May 18, 2007. ^ Grace, Stephanie (July 6, 2006). "On the road, Nagin gets warm reception". The Times-Picayune. ^ Donze, Frank (February 11, 2007). "Many New Orleanians say they are still waiting for Mayor Ray Nagin to do the job they elected him to do". New Orleans Times-Picayune. ^ "Violent crime wave intensifies in New Orleans". NBC News. AP. August 16, 2007. Retrieved February 23, 2011. ^ "Mayor C. Ray Nagin 2009 State of the City Address" (PDF). Hurstville Security and Neighborhood Improvement District. May 20, 2009. Archived from the original (PDF) on December 16, 2014. Retrieved May 6, 2012. ^ "The Best Cities for Riding Out a Recession: New Orleans, La". BusinessWeek. Retrieved 2012-12-22. ^ Clifford, Catherine (July 10, 2008). "U.S.: New Orleans is nation's fastest growing big city". CNN Money. Retrieved 2012-12-22. ^ "State And Local Government Meeting". State.gov. March 23, 2010. Archived from the original on October 13, 2016. Retrieved December 22, 2012. ^ Hammer, David (April 23, 2009). "Attorney claims Nagin, Meffert took 'plenty of other trips' paid for by city tech vendor". The Times-Picayune. ^ Michelle Krupa, Nagin to face camera contract queries, Times-Picayune, April 19, 2009, Metro Edition, pp. A1, A10 (quotation appears on p. A1). ^ Times-Picayune Staff (November 1, 2010). "Greg Meffert, former city tech chief, pleads guilty". Times-Picayune. ^ "Firm finds 5,400 deleted e-mail messages of New Orleans Mayor Ray Nagin". The Times Picayune. New Orleans. April 27, 2010. ^ "Ray Nagin supposedly received $50,000 payment records and sources say". The Times Picayune. New Orleans. June 27, 2012. ^ "U.S v. C. Ray Nagin" (PDF). United States District Court, Eastern District of Louisiana. January 18, 2013. Archived from the original (PDF) on October 12, 2013. Retrieved January 18, 2013. ^ Jervis, Rick (18 January 2013). "Former New Orleans Mayor Ray Nagin indicted". USA Today. Archived from the original on 17 February 2013. Retrieved 19 January 2013. ^ "Former New Orleans Mayor Nagin pleads not guilty in kickbacks case". Reuters. February 20, 2013. Retrieved 20 February 2013. ^ Russell, Gordon (2013-01-19). "Ray Nagin indictment: First New Orleans mayor to face corruption charges". The Times-Picayune. ^ Jervis, Rick (February 12, 2014). "First Take: Ex-New Orleans mayor Nagin convicted". USA Today. Retrieved 12 February 2014. ^ Simerman, John. "What will life be like for Nagin behind bars? Archived March 4, 2016, at the Wayback Machine" The Advocate. July 14, 2014. Retrieved on June 2, 2015. ^ Mackel, Travers. "Nagin files appeal, seeks new trial Archived September 19, 2016, at the Wayback Machine." WDSU. July 15, 2014. Retrieved on June 2, 2015. ^ Mackel, Travers (April 7, 2015). "Judge agrees: Nagin broke, needs public defender". WDSU. ^ "Nagin reports to federal prison in Texarkana Archived April 14, 2016, at the Wayback Machine." KSLA. September 8, 2014. Retrieved on June 2, 2015. ^ "Inmate Locator Archived November 18, 2016, at the Wayback Machine." Federal Bureau of Prisons. Retrieved on June 2, 2015. Nagin is listed as "C RAY NAGIN"
Wikimedia Commons has media related to Ray Nagin.